Something has changed in the latest Intro App Update. Now, rather than call a cache micro, it is called "extra small." What? Why? 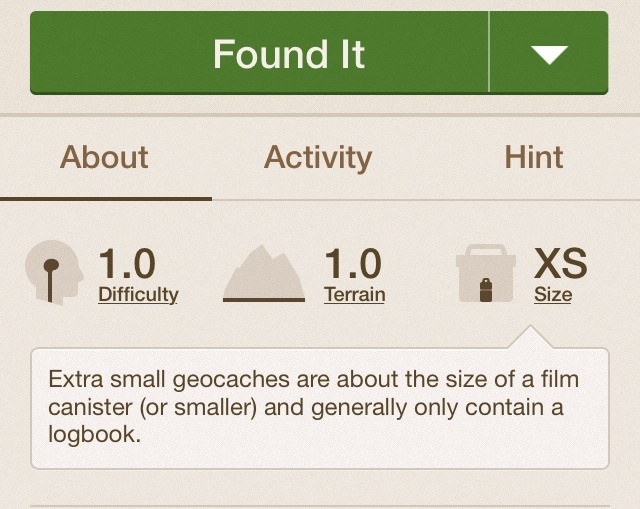 If this is the name for small caches in the beginner app that is supposed to introduce users to geocaching, why would there be a name that is different from what the rest of the geocaching community uses? This could lead to confusion if these new geocachers decide to buy a GPSr and start using the website. They'd be wondering what "micro" means and looking for their cherished "extra small" caches. I think this is a bad choice. If a cache is listed as micro on the website, it should be micro in the app as well. Looks to me like something else creeping in to cater to newer players of a different demographic than the older set. I would not be surprised to see this, and other changes like it, start rippling through the system.